The Tower student newspaper at the Catholic University of America held editorial elections on Thursday, November 13 to select the next editor-in-chief for the spring semester of the 2018-2019 academic school year. Current staff writer and health & lifestyle editor, Emily Prendergast, a junior international business major, was announced as the 125th editor-in-chief of the student run publication. 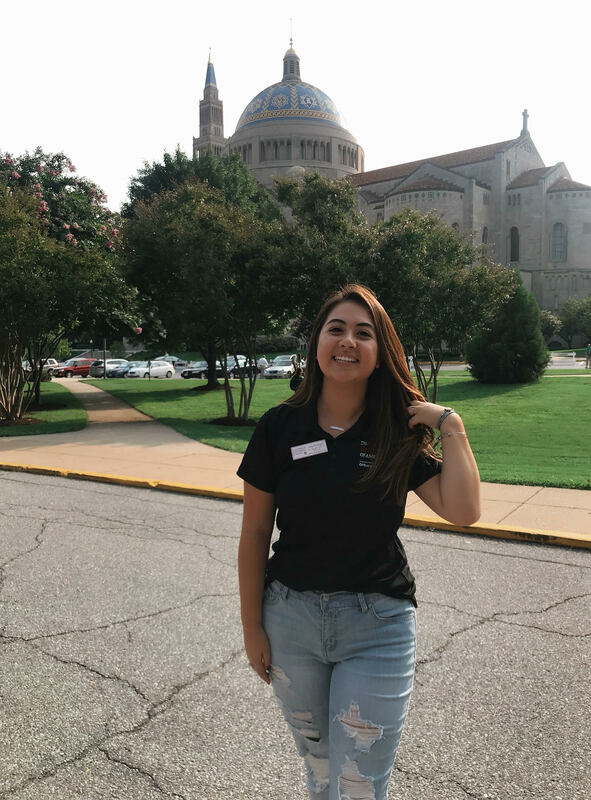 Before coming to The Catholic University of America in 2016, Prendergast, a Frederick, Maryland native, made a personal bucket list of activities that she wanted to do before graduating from college. The first item on that list of hers was join The Tower. Since then, Prendergast has made The Tower her community. Prendergast hopes to further expand and advance the student newspaper digital presence online and increase content. “I want The Tower to be everyone’s go-to source of news on campus and that will only happen if we learn to perfect our articles by increasing our reliability and publishing more of what students want to read,” Prendergast said. Prendergast’s former colleagues at The Tower expressed support for her new role as editor-in-chief. The current editor-in-chief, senior politics major Liz Friden who is graduating this semester, expressed similar sentiments. This semester, The Tower created a weekly e-newsletter, a new student focused health & lifestyle section and doubled the size of its staff. Prendergast plans to grow readership and help the team to further develop their skills. As for the rest of the editors during the school year, senior Duane Paul Murphy will remain quill op-ed editor, junior Alex Santana will remain politics editor, sophomore Katie Ward will remain as news editor, junior Katarina Ivancik will remain arts and entertainment editor, and junior Jared Prenda will remain sports editor. The position for health & lifestyle editor is currently open and has yet to be filled by writers from student publication, which has been in independent publication since 1922.